The only son of Charles & Edith Annie Alderton (Nee Chittock) of Ilford, Essex, UK. Edith having been widowed after only two years later married James Jennings. Edith was my Great Aunt. Albert Victor Bretherton, M. M.
Plot S. II. N. 20. 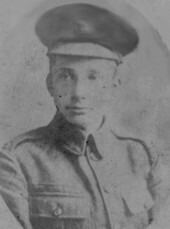 Son of William and Lucy Ann Bretherton. Native of Pendleton, Manchester, England. Plot ​P. V. L. 3A. Plot O. VIII. M. 2. 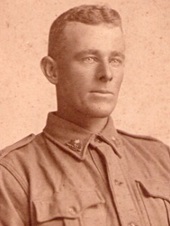 James Joseph Charlton. Regiment 2576. 3rd Battalion 8th Reinforcement. Panel 35 on the Roll of Honour at A.W.M. Thank you Grandfather Charlton, we are all safe and well because of you and your sacrifice. You were the much loved husband of Ethel adoring father of Alma & Leslie, devoted grandchildren Wave William Edward & Lolo. in 2009 you have 15 respectful Great grandchildren , 23 Great, Great grandchildren , 5 Great, Great, Great grandchildren. Plot O. VIII. I. 5. Son of Joseph Henry and Florence Augusta Ransome Clift. Native of Maitland, New South Wales. Rouen. 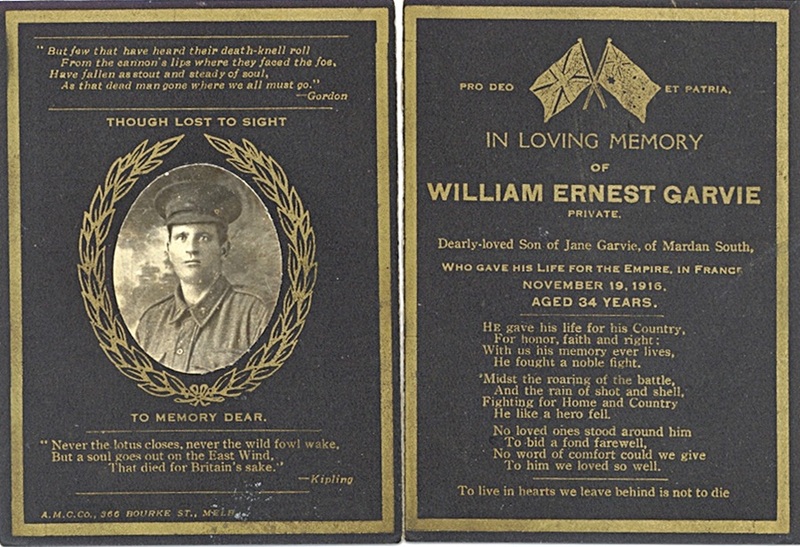 He died on 28th March 1917 of septicaemia and is buried in the St. Sever Cemetery Extension, Rouen. 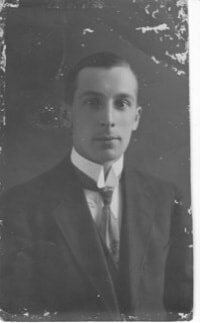 Dudley was my paternal grandfather. Submitted by Miss. 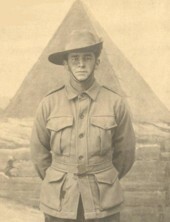 Aenone S. McRae-Clift, originally from New South Wales and now of Ferntree Gully, Melbourne, Australia. 13th June 1918, aged 33. Plot Q. I. E/ 23. 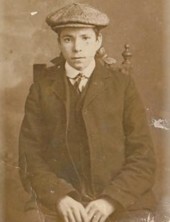 Son of Catherine Foley, of 21, St. Patrick's Cottages, Rathfarnham, Co. Dublin. Michael was obviously very ill judging by this photo as he looks unwell and is surrounded by Medical personnel. This building in background is probably the Hospital and we wonder if the statue with orator and admirer helps you to let me know precise location.We understand that a Spanish influenza was rampant at the time and claimed his life finally. He is mentioned by name in a play about Francis Ledwidge by Irish writer Dermot Bolger "Walking the road" By a strange co-incidence Ledwidge himself,as a youth was a shop boy in Michael's ''home district of Rathfarnham,South Co.Dublin. 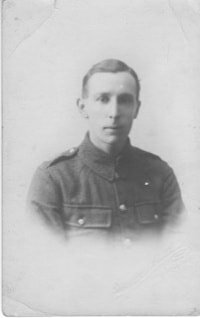 19th November 1916, aged 34. 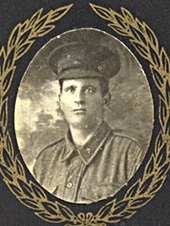 ​Son of George and Jane Garvie, of Inlet Rd., Leongatha, Victoria, Australia. 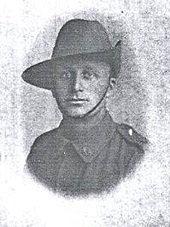 1st November 1918, aged 30. ​Plot S. II. JJ. 8. Son of Thomas and Mary Jane Goodsir; husband of Maisie Goodsir, of 92, Ollerton Rd., Retford, Notts. He was born in 1888 in Sheffield, England. Son of Thomas Goodsir ( 1857-1938) and Mary Jane Pringle Brown (1856-1947). 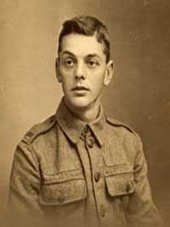 28th March 1918, aged 22. Plot P. VII. H. 9A. Son of Mr. and Mrs. Hawthorn, of 31, Molyneux St., Derby Rd., Bootle Liverpool. 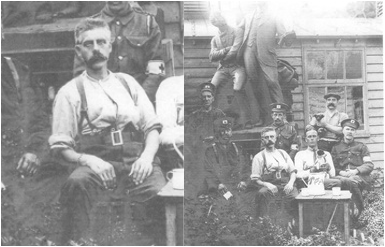 6th May 1917, aged 33. Plot P. I. J. 3B. 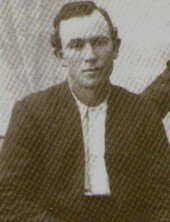 Son of John and Catherine Kelly. Native of Redcastle, Victoria, Australia.